A crane lift is more than the process of hoisting a heavy object or objects. Numerous factors come into play – before, during, and after the job. To handle this multitude of responsibilities, a crane rental company must demonstrate strength in all key areas, from initial planning to clean-up. The Crane Guys demonstrates such strength time and time again. Which means that when it comes to handling crane rentals in California, we’re as dependable as they come. 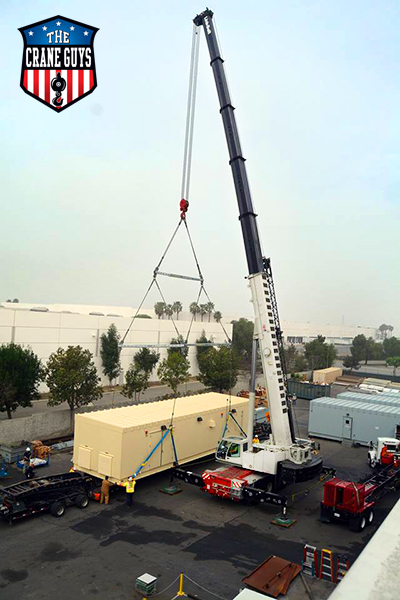 You might say we’ve developed an air-tight system for providing dependable crane rental in California. The centerpiece of that system is, not surprisingly, our crane rental program. For us, a suitable crane rental service involves more than the supplying of heavy lifting equipment. It’s about providing efficiency, reliability, convenience, and above all, safety. Helping us achieve these worthy goals is an extensive inventory of hydraulic cranes. When you consider us for hydraulic crane rental services, you may be surprised by the depth of our stock. Our fleet consists of everything from 3-ton rated to 265-ton rated cranes, the latter capably handled by our acclaimed 100-ton crane rental program. Don’t worry about reliability. 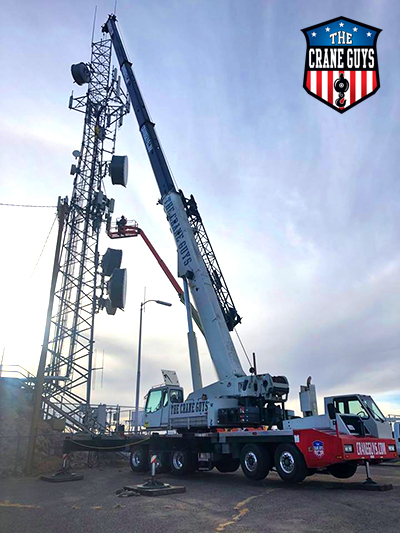 If you select us for mobile crane rental, you can be sure that every machine will be well-maintained and consistently serviced to ensure high-level performance. One notable advantage of this extensive fleet is convenience. When you contact us with a lift request, you won’t draw a blank. The Crane Guys will have exactly what you need. Imagine the relief upon realizing you won’t be searching the world for the right solution, thereby wasting precious hours – and precious dollars. Satisfaction on demand is what you’ll get every time. Speaking of satisfaction on demand, something else we offer is instant contact. The moment you call our headquarters, no matter how busy we are, an actual person will answer — every time. That’s 24/7/365. No machines, no pre-recorded greetings, no waiting, no frustration. You’ll be pleased to know that cranes are just one facet of operation. The Crane Guys supports these heavy lifters with a variety of reliable solutions. Take, for instance, our boom truck rental program. For a solution that combines maximum agility with incomparable safety, nothing beats our beautiful fleet of boom trucks. Further support is provided by our many other services, including crane lift rigging and flatbed oversize hauling when clean-up time arrives. Yes, for The Crane Guys, no job is complete until the last scrap of debris is eliminated. One aspect of our service seldom seen but vitally important is our crane lift planning operation. It is during this crucial phase that we create a blueprint for a pending lift. Assisting us in this endeavor is a handy piece of advanced technology known as 3D Crane Lift Plan. This software application provides our planners with a three-dimension view of every lift project. 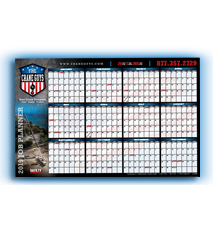 With the details supplied, our team can develop precise strategies that consider a variety of work zone conditions, such as anticipated weather. The planning stage also includes the acquisition of encroachment permits. Thanks to a combination of expertise and long-term relationships with key decision makers, we can secure necessary authorizations with minimum wait time. This is another valuable time-saver for our clients — and another reason we consistently provide top-flight crane rental in California.